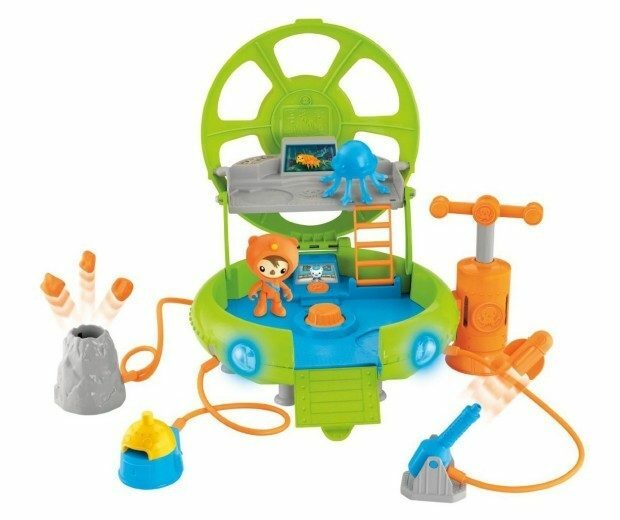 Fisher-Price Octonauts Deep Sea Octo-Lab Just $22.77! You are here: Home / Great Deals / Amazon Deals / Fisher-Price Octonauts Deep Sea Octo-Lab Just $22.77! Head over to Amazon and order the Fisher-Price Octonauts Deep Sea Octo-Lab Just $22.77! Regularly $36.99! Shipping is FREE for Prime members or on orders of $35+! Explore the deep sea with the Octonauts! Blast lava rocks, launch a kelp cake, or fire the rescue flare! Features lights, phrases & sounds!